Hundreds of Bigs and Littles cheered as Minnesota Timberwolves point guard, Derrick Rose, ran onto the court during the Sunday, March 10, game against the New York Knicks. There was excitement in the air. For many Littles this was their first Timberwolves game. 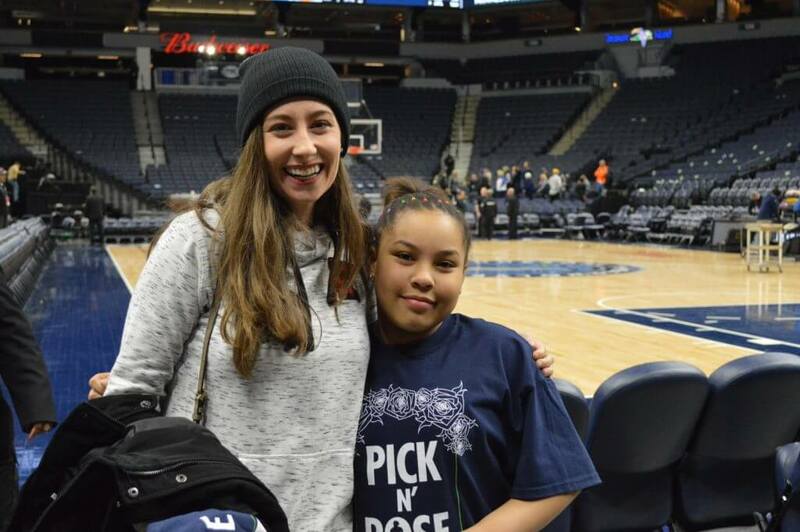 The Big Brothers Big Sisters Tickets for Kids Night with the Wolves was a sold out event. Together with their Bigs, Littles saw first-hand the significance of teamwork and mentorship in action. “I’m really excited to be here. I’ve been to a couple of games before, but being here with my friends from Books and Basketball is a cool experience.” One student said during the game. 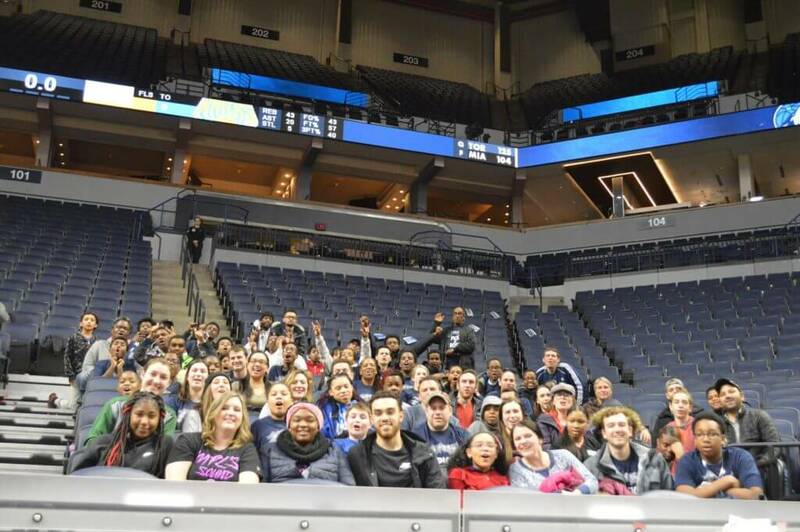 A group of 17 students from the Books and Basketball program cheered on the Wolves, many students were excited for the opportunity to watch Rose play during the first half. The Books and Basketball program brings a group of students together each month to play basketball, but focuses primarily on bringing mentors and students together to prepare them with life-skills to help them excel after high school. Mentors focus on teaching students about public speaking skills, education enrichment classes, ACT prep and college prep, all while focusing on teamwork and the future goals of the students. Click here to learn more about the Books and Basketball program. 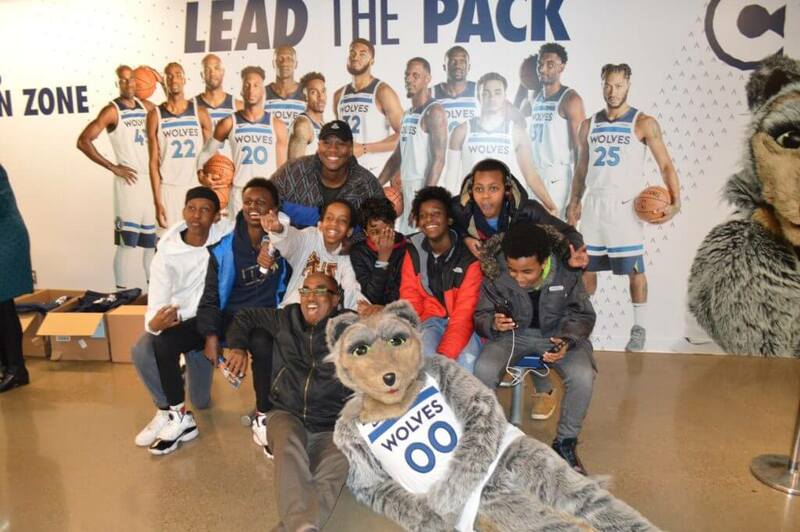 As soon as the Target Center doors opened, Bigs and Littles rushed upstairs to grab their Pick n’ Rose t-shirts, snapped a few photos with the Timberwolves Mascot, Crunch, and headed to their seats to watch the Wolves beat the Knicks 103-92. In between quarters, young fans met other matches, enjoyed snacks, talked basketball and even caught Timberwolves SWAG from their seats. After the game, Bigs and Littles waited near the court for a meet and greet with point guard Tyus Jones. Jones talked about the importance of having a mentor before posing for a quick photo to end the evening. A BIG thanks to the Minnesota Timberwolves, Derrick Rose and Tyus Jones for making it possible! Check out more of our photos from the Big Brothers Big Sisters Tickets for Kids Night with the Wolves.